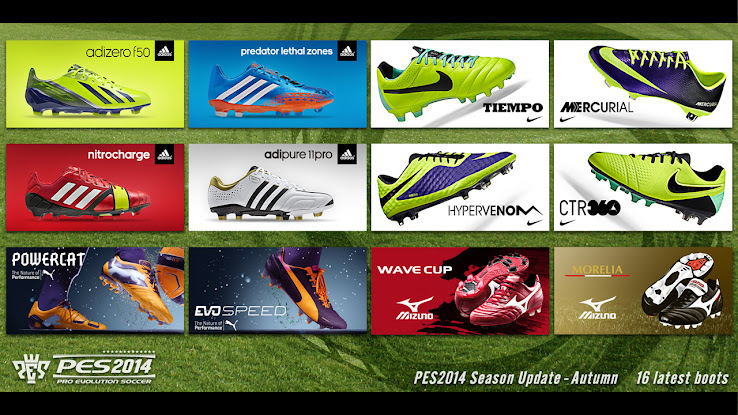 Konami today finally released all info about the features of the highly anticipated PES 2014 Data Pack 2. 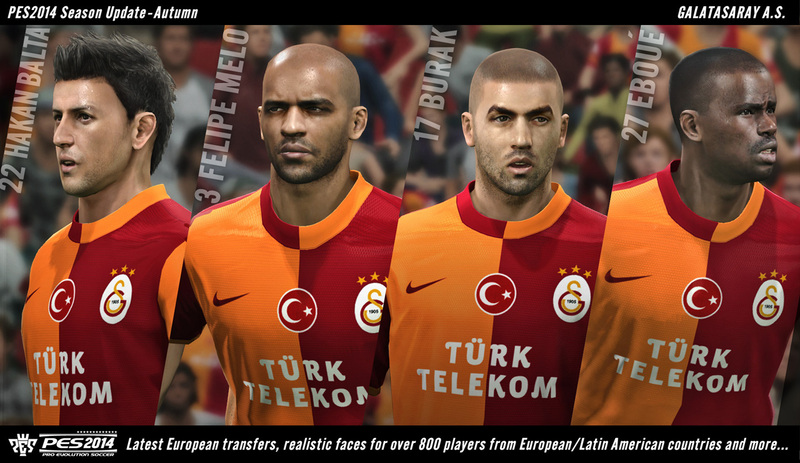 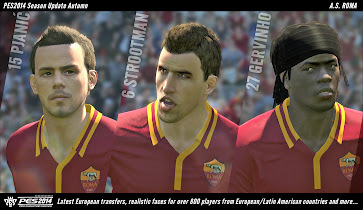 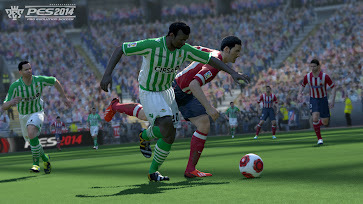 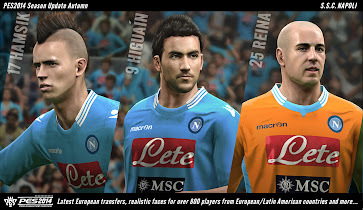 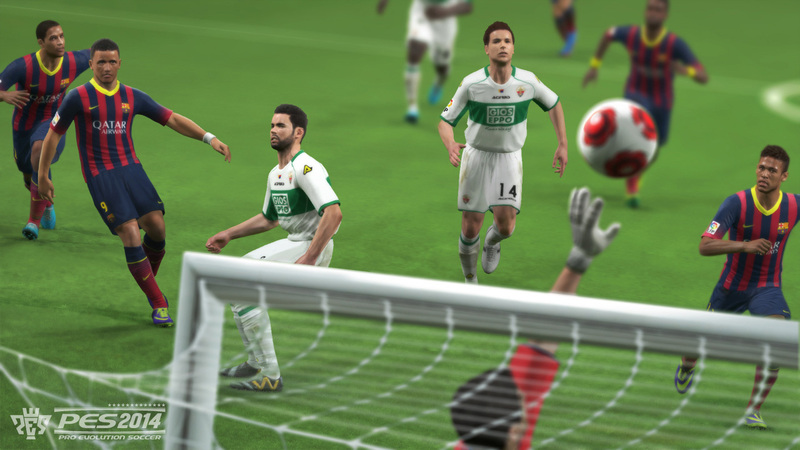 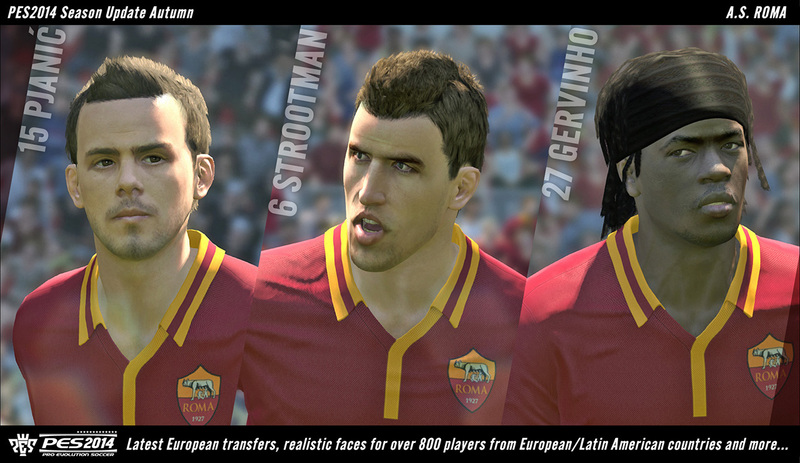 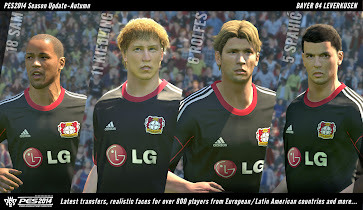 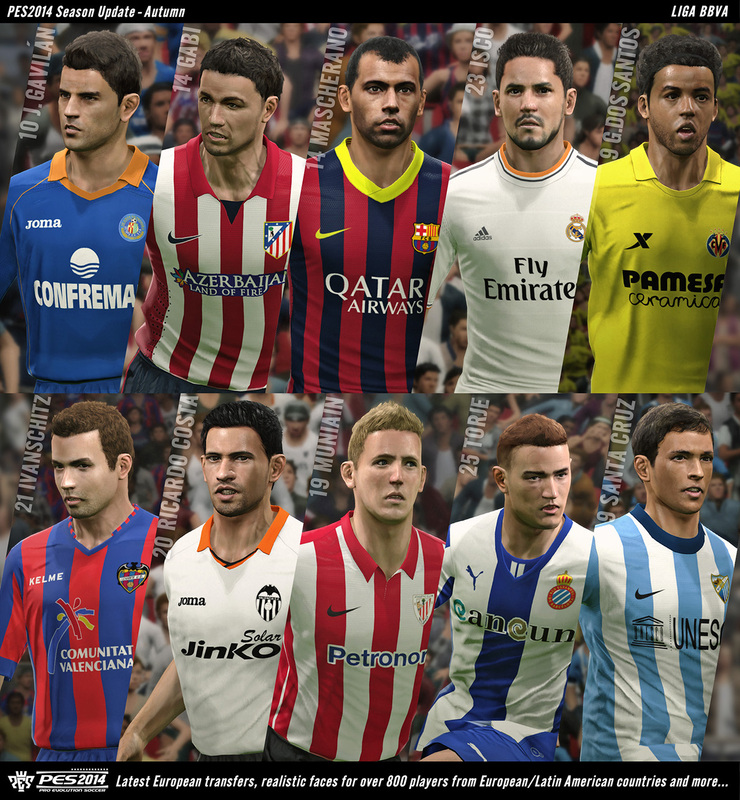 The new PES 2014 November DLC will add realstic faces for more than 800 players, update squads to include the latest transfers as well as adding new kits and boots. 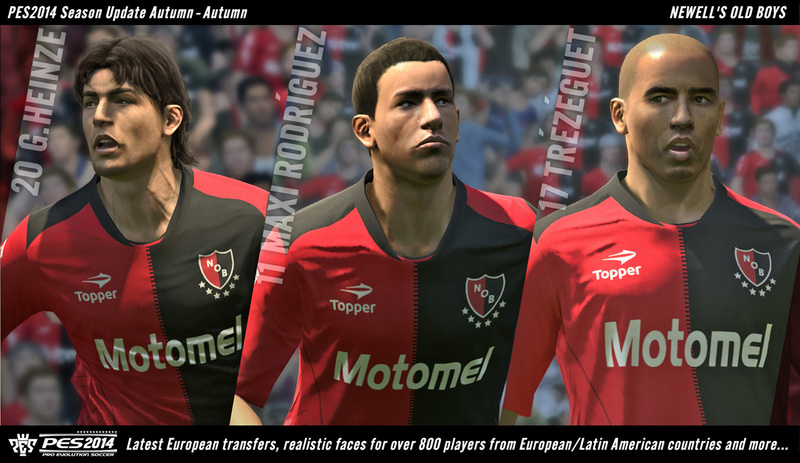 The list of 800 added faces includes much needed faces like Rafael of Manchester United, Juan Roman Riquelme of Boca Juniors or Jack Wilshere of Arsenal. 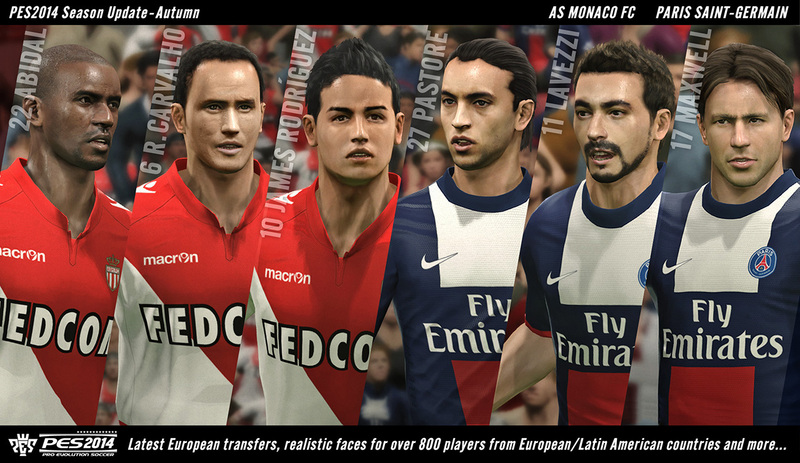 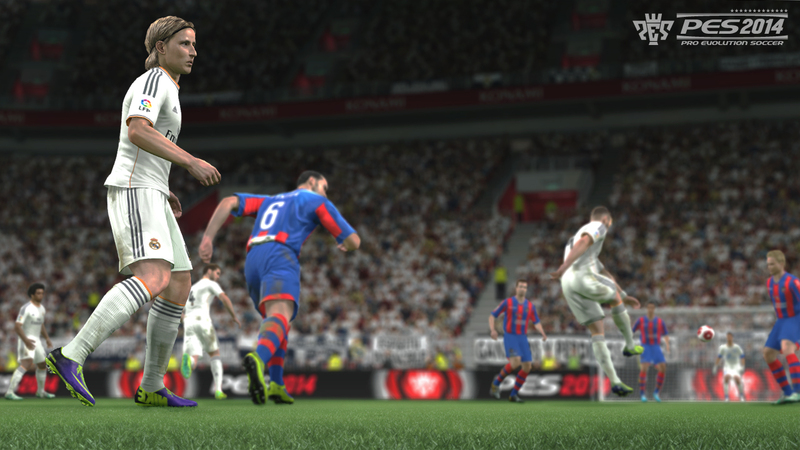 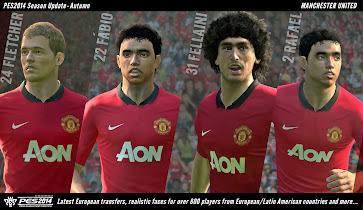 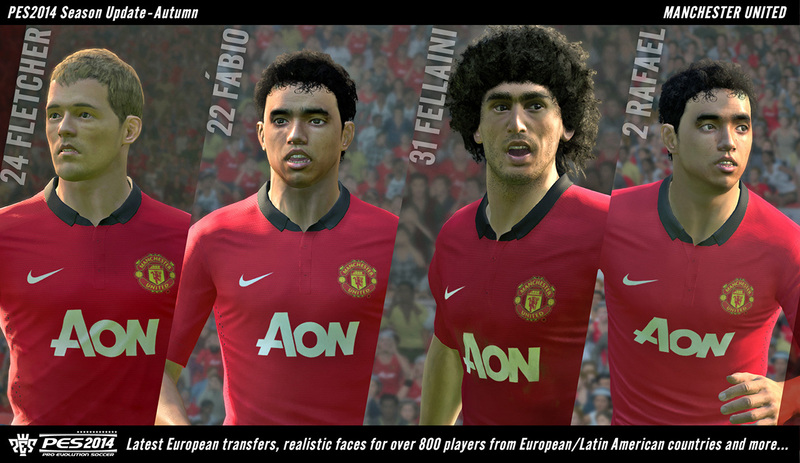 Konami are yet to give a full list, though a lot screens showing a selection of the new faces were released. Konami also added a number of updated kits in the new PES 2014 Novemeber DLC. 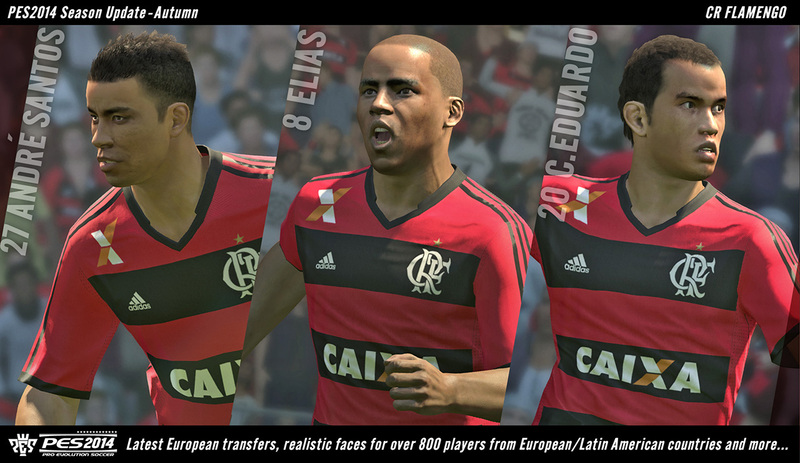 Third kits for Flamengo, Palmeiras and Santos are included, while many teams' kits were updated to correct sponsors, including Leverkusen (LG). There will also be a game update for PES 2014 in line with the Data Pack 2. The new PES 2014 update will include changes to online mode incuding the addition of 11-vs-11 mode.